Improve your outdoor viewing experience on your 500-series monitor with this Sun Hood from SmallHD. Made from flexible neoprene and rigid plastic, the hood fits over the outside chassis of the monitor and stretches to cover the screen and block out stray reflections. With the reduced glare, the image can be viewed more accurately in harsh lighting situations. Once you're done using the hood, it can be folded flat for easy storage. Box Dimensions (LxWxH) 6.5 x 6.2 x 0.7"
Sun Hood for 500 Series Monitors is rated 2.2 out of 5 by 33. Rated 1 out of 5 by Anonymous from Wish I could give this a higher rating.... Love the design. Love the functionality once it's on the monitor. HATE the fact that the plastic/rubber corner joints crack and break so easily. I returned the first one that broke the second time I used it - and now its replacement just cracked the very FIRST time I mounted it onto my monitor. This piece is very tricky to get on and off - and after the first one broke, I was incredibly careful mounting the replacement. This hood is WAY too fragile for a piece that needs to be mounted/unmounted frequently. Rated 1 out of 5 by Ruben from the second time I used it, broke As CBS said in his review mine suffered the same issue and broke the second time I try to mount. Rated 1 out of 5 by CWSmith from Flimsy, unreliable junk. 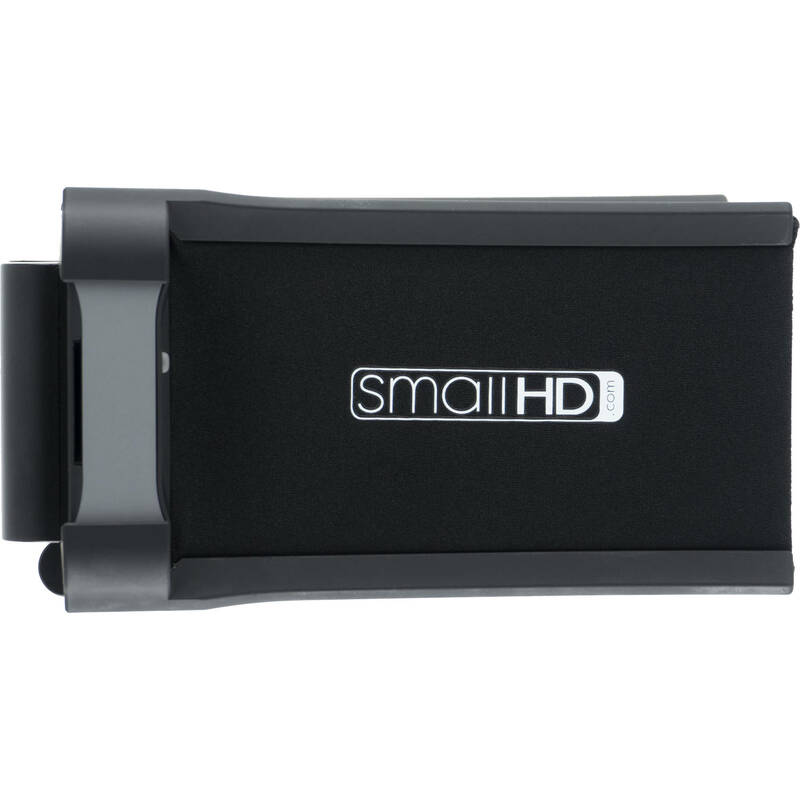 The SmallHD Sunhood is cheaply constructed, plastic garbage. I have owned my 502 for a few months now. The flimsy, brittle plastic connectors that fasten the sunhood to the monitor cracked immediately, from simply putting the sunhood and taking it off just a few times. All four of the connectors developed hairline fractures, causing me to worry constantly about it actually breaking. Eventually, it did. The sunhood was bumped while the monitor was affixed to the camera, and one of the plastic connectors finally snapped. I spent the rest of my three-day, on-location shoot with a #1 grip clip holding the sunhood in place. The best alternative is a bongo tie wrapped around the entire outside of the 502. 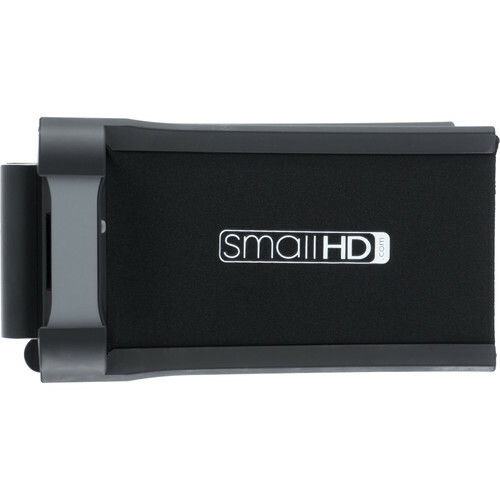 I pretty much cannot believe SmallHD has the nerve to charge $60 for something that is so poorly designed. Perhaps with metal fasteners, or a more rigid plastic, this could be a viable monitor hood solution. But it is not. I have asked SmallHD for a refund. I do not recommend wasting your time with this junk. Rated 1 out of 5 by Anonymous from Same as everything I watched the video first because I couldn't believe the amount of force required to mount it and take it off. It broke the 3rd or forth time and I did it exactly the way SmallHD showed in the video. Rated 1 out of 5 by Anonymous from Terrible. Breaks almost immediately. Don't believe the reviews describing a well built product. This hood is terrible. It broke literally the first time I used it. If you can find another solution, buy that instead. Rated 5 out of 5 by Ian from Great SmallHD is a great company with a cool story, cool products and great customer service. I wish this hood was included in the 501/502 kits... Its a pretty essential piece that should have been included.. Oh well.. The build quality is fantastic and it functions just like you would hope. Folds up nicely and packs up well. Is this compatible with the 502 BRIGHT? Is there another sun hood for the 500 monitors that doesn't break like most of the reviews say? i don't know of another. and if there was an aftermarket i doubt it would have the fit and finish of this one. Watch the video of how to attach and deattach this sun hood. I did and i don't have any problem. Brain over brawn don't force it.